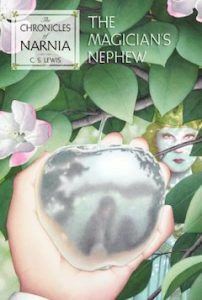 A mass-market paperback edition of Prince Caspian, book four in the classic fantasy series, The Chronicles of Narnia, featuring cover art by Cliff Nielsen and black-and-white interior illustrations by the original illustrator of Narnia, Pauline Baynes. 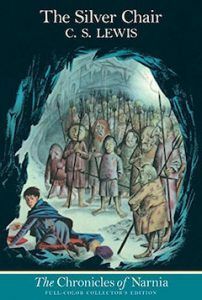 The Pevensie siblings travel back to Narnia to help a prince denied his rightful throne as he gathers an army in a desperate attempt to rid his land of a false king. 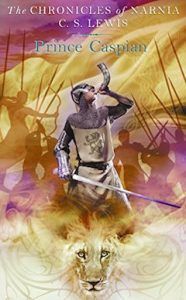 But in the end, it is a battle of honor between two men alone that will decide the fate of an entire world. 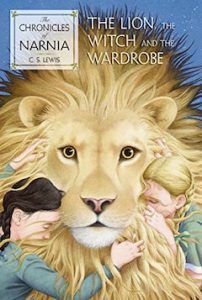 Prince Caspian is the fourth book in C. S. Lewis’s classic fantasy series, which has been drawing readers of all ages into a magical land where animals talk and trees walk for over sixty years. 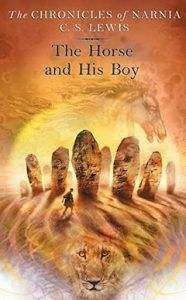 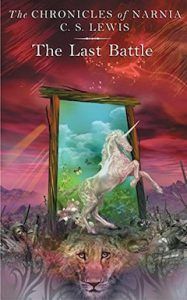 This is a stand-alone novel, but if you would like to read more of Lucy and Edmund’s adventures, pick up The Voyage of the Dawn Treader, the fifth book in The Chronicles of Narnia.